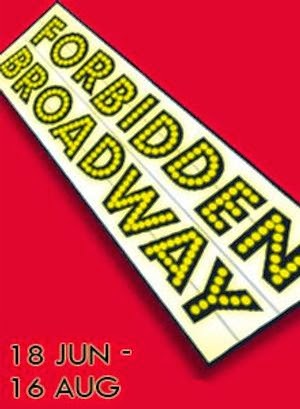 Updated 30th April: An updated version of New York's longest running comedy revue Forbidden Broadway is being presented at the Menier Chocolate Factory from 18th June - 16th August 2014. 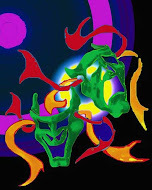 Forbidden Broadway sends up shows and their stars winning numerous awards including the 2008 Drama Desk Award for Outstanding Musical Revue, the Special Tony Honor for Excellence in the Theatre, six additional Drama Desk Awards, Outer Critics Circle, Drama League, Obie and Lucille Lortel Awards. All of the cast members have previously appeared at the Chocolate Factory: Anna-Jane Casey (credits include Billy Elliot (Victoria Palace), Spamalot (Playhouse), Company (Crucible, Sheffield), Sunday in the Park with George and the 2009 production of Forbidden Broadway (both at the Menier Chocolate Factory): Sophie-Louise Dann (soon to appear in Closer Than Ever at Jermyn Street Theatre. Sunday in the Park with George (Chatelet, Paris), Lend Me a Tenor – the Musical (Gielgud; Olivier Award nomination for Best Supporting Role in a Musical) and Forbidden Broadway (Menier Chocolate Factory). Damian Humbley (starred as Charley Kringas in the Menier Chocolate Factory’s Olivier Award winning production of Merrily We Roll Along. Damian played Seymour in the UK tour of the Chocolate Factory’s production of Little Shop of Horrors. Company (Crucible, Sheffield), Lend Me a Tenor - the Musical at the Gielgud Theatre and The Last Five Years at the Chocolate Factory) and Ben Lewis (last appeared as the Govenor and Vanderdendur in Candide at the Menier. Other credits include Therese Raquin (Finborough), the Australian productions of Love Never Dies, A Little Night Music (Opera Australia), as well as Spamalot and Priscilla - Queen of the Desert). This updated version of the show, from Broadway's director Phillip George, showcases productions from both Broadway and the West End including The Book of Mormon, Once, Matilda, Wicked and Miss Saigon!